Personal trainer Jason Fisher's website features PayPal integration, a print and television media coverage section, and a consultation request form. 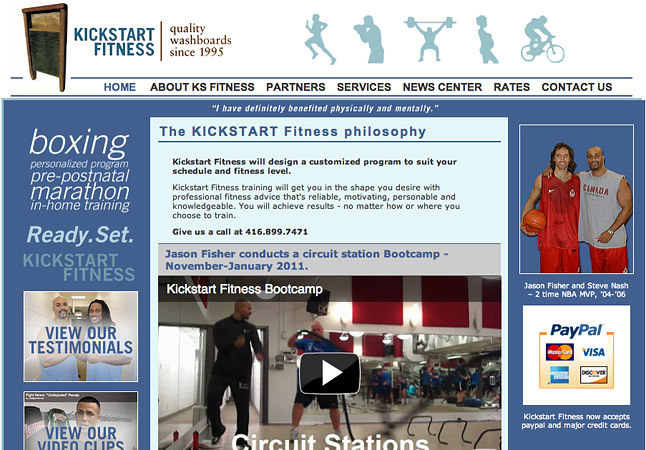 The Kickstart Fitness website promotes Jason Fisher's personal training business to prospective clients, and supports existing client relationships with online payment options. An important aspect of Jason Fisher's personal training practice is making media appearances as an expert in high performance training. Documenting appearances on television and in print media helps establish credibility and expertise to prospective clients. Training relationships with professional boxers, basketball players, and college athletes are featured in video and other content formats to emphasize the high performance training capabilities of Kickstart Fitness. 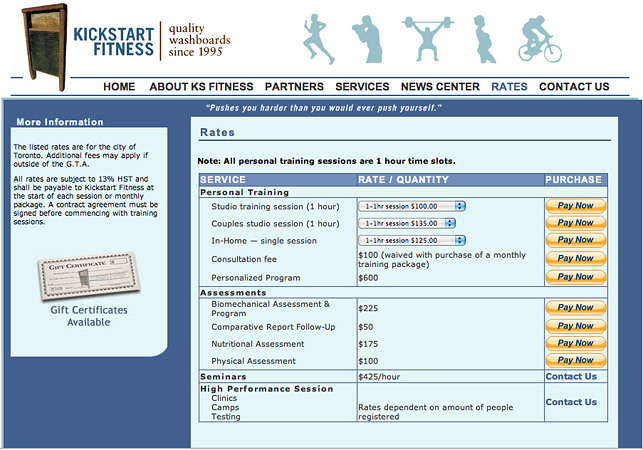 The rates page is integrated with a PayPal payment processing, and configured to provide a variety of payment options, for numerous distinct personal training offerings. 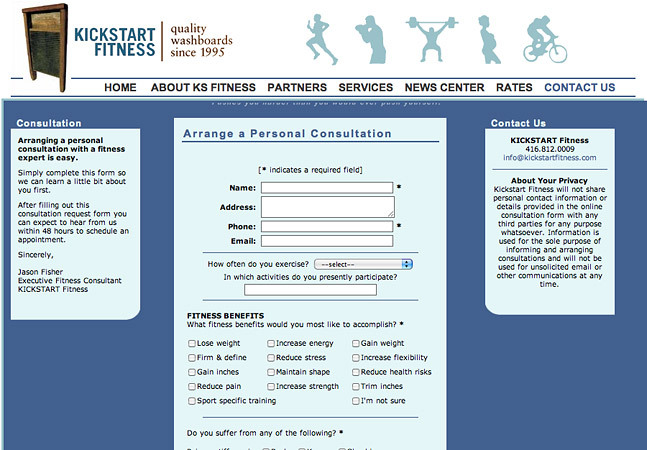 An in-depth consultation request form provides Kickstart with valuable and detailed information about the fitness habits of prospective clients. This information helps ensure that trainer and client start with a shared understanding when developing a personalized training regimen.